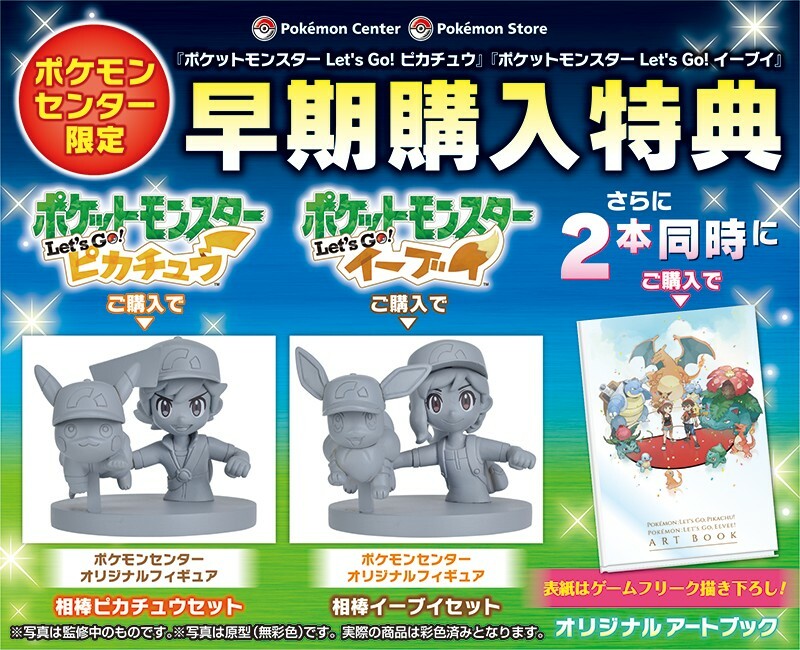 The Pokemon Company has released the first official images for Pokemon Center and Pokemon Store’s exclusive pre-order bonuses for Pokemon Let’s GO Pikachu/Eevee in Japan. 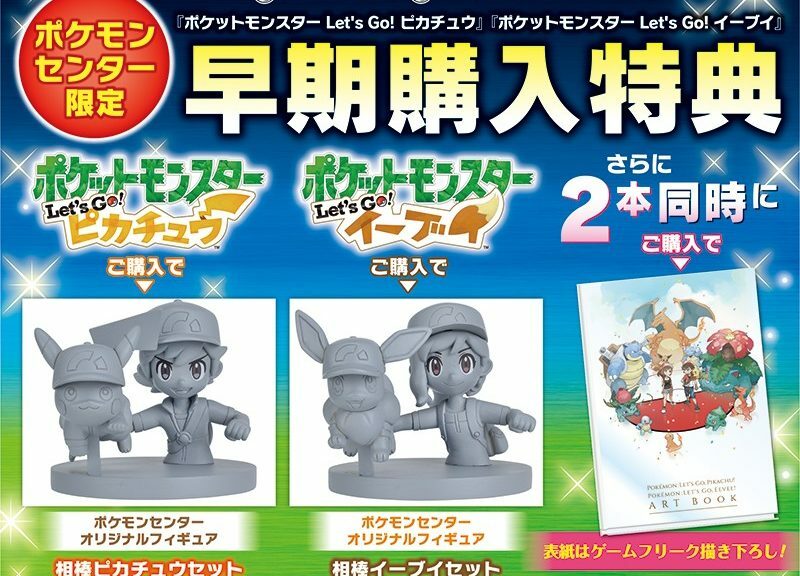 Every copy of Pokemon Let’s GO Pikachu/Eevee purchased will come with one of the following figurines shown below. As the figurines shown are prototypes, they aren’t colored yet. We also have a look at the cover of Pokemon Let’s GO Pikachu! and Pokemon Let’s GO Eevee! Art Book. Customers will receive this art book when they purchase both titles.